Japanese car major Nissan said on Tuesday it has almost doubled the production of its small car Micra to 500 units per day in order to clear an order backlog of about 2,500 units. 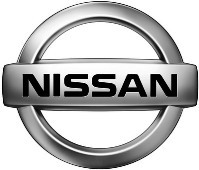 The company's wholly-owned subsidiary -- Nissan Motor India Private Ltd -- had launched the Micra in July and priced the car between Rs 398,000 and Rs 529,000 (ex-showroom, Delhi). The firm also said it will commence overseas shipments of the car from next month, starting with Europe. "To cater to the huge demand, we have begun second shift of production. . . The average daily production is over 500 units, which is expected to increase in near term," an NMIPL spokesperson told PTI. In a single shift basis, the company was producing 255 units every day till last week, he added. "We have a progressively increasing order book and so far received more than 3,400 bookings. Last month we achieved sales of 928 units since delivery began on July 15," the official added. The latest offering from Nissan has witnessed waiting period of over two months depending upon different variants. "This has been primarily due to the higher than expected demand for the same from the market. We are taking necessary steps to manage and balance out the delivery period by next month," the spokesperson said. Commenting on export plans, he said the first shipment will go to Europe from next month onwards. Nissan had stated that it will export the Micra to over 100 countries. It had planned to produce 80,000 units in the first year, of which only 20 per cent will be for the Indian market and rest will be exported. The car, which has Bollywood actor Ranbir Kapoor as brand ambassador, is produced at the Chennai plant of its joint venture with French parent Renault -- Renault Nissan Automotive India. The JV is investing Rs 4,500 crore (Rs 45 billion) on the plant, which will have an annual capacity of 400,000 units. The Indian car market is at present pegged at about 1.5 million units annually, over 70 per cent of it is accounted for by compact cars. Nissan had announced that it plans to have nine models, in India by 2012, out of which five would be made locally. It had said that it aimed to achieve a market share of 5.5 per cent in India in the future, which is equivalent to the global market share of Nissan. Besides Micra, the Japanese automaker sells sedan Teana, sport utility vehicle X-trail and sports car 370Z in India.